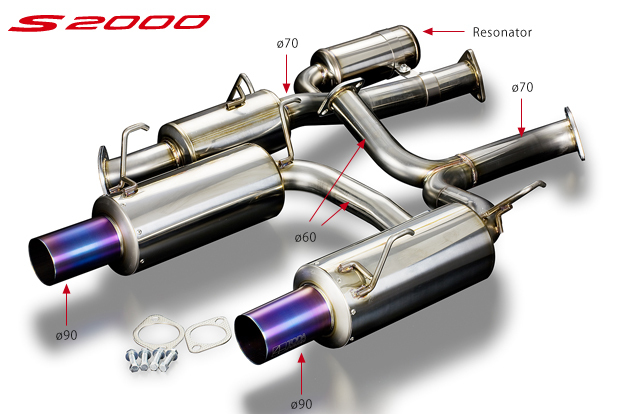 In order to get the best performance, engine power, and efficiency, from the special characteristics found in the S2000 TODA 2350cc or 2400cc stroker kits, Toda has developed this exclusive 70mm muffler system through extensive Dyno and circuit testing. 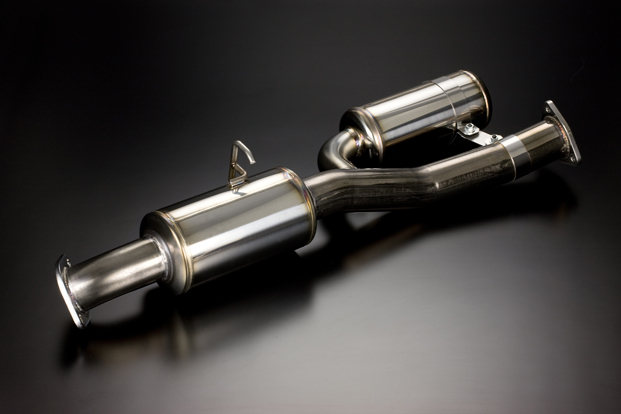 TODA Racing now add a ver.2 resonator muffler set to this line-up. The resonator is fitted to the front pipe, and this allows low end RPM noise to be reduced without increasing exhaust resistance. Straight tail style titanium end pipe has been designed to reduce over hanging weight and to give improved looks. Blue heat treatment giving a hard worked racing image. With the end receiving special treatment to prevent cracking. The internal design is based around a constant Ø70 pipe, with no bends or restrictions the engine is able to breath more freely so releasing more power. Resonator front pipe can be purchased separetely and retrofitted for those already running the TODA regular Ø70mm High Power Muffler System.